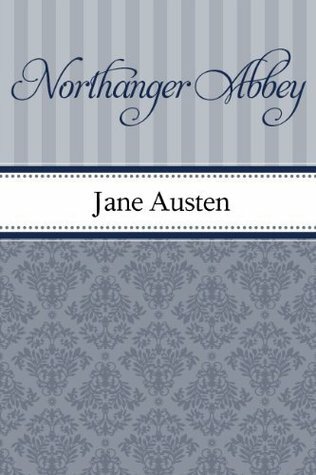 Synopsis: Northanger Abbey is often referred to as Jane Austen’s Gothic parody. Decrepit castles, locked rooms, mysterious chests, cryptic notes, and tyrannical fathers give the story an uncanny air, but one with a decidedly satirical twist. The story’s heroine is Catherine Morland, an innocent seventeen-year-old woman from a country parsonage. While spending a few weeks in Bath with a family friend, Catherine meets and falls in love with Henry Tilney, who invites her to visit his family estate, Northanger Abbey. Once there, Catherine, a great reader of Gothic thrillers, lets the shadowy atmosphere of the old mansion fill her mind with terrible suspicions. What is the mystery surrounding the death of Henry’s mother? Is the family concealing a terrible secret within the elegant rooms of the Abbey? Can she trust Henry, or is he part of an evil conspiracy? Catherine finds dreadful portents in the most prosaic events, until Henry persuades her to see the peril in confusing life with art. Review: This is the first Jane Austen book that I have read (well, listened to). I think the fact that I was at work while listening to it had me miss some aspects that everyone seemed to love. I would tune out while focusing on my work then be sucked back into the story and be confused at what is happening. I will definitely be picking up a physical copy and re-reading this in the future! It seemed like not much went on in the book. Apparently it took place over 12 months but what really happened in those 12 months? Balls, walks, and a trip to the Abbey… did I miss anything? What’s your favourite Jane Austen novel? Comment below. This entry was posted in book review, jane austen, northanger abbey. Bookmark the permalink.